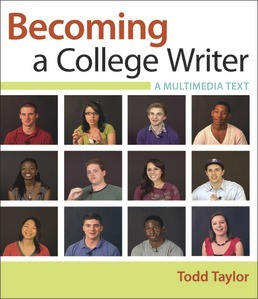 Based on 100 interviews with college writers, Todd Taylor’s groundbreaking multimedia resource helps you learn from other students’ experiences like no other textbook before. Their words and voices—in brief videos and writing examples—form the foundation for a refreshing new style of instruction that asks you to engage with other college writers personally, learning from their challenges and successes. The words and voices of these students are brought to life in the book’s LaunchPad, featuring all of the student videos and a collection of their writing. The result is a unique text that asks you to critically examine and engage with the words and writing of other students, using them as a model to inspire your own successes. Lesson 1 Writing: Clarify your definition of writing. Lesson 2 Writer: See yourself as a writer. Lesson 3 Audience: Understand and interact with your audience. Lesson 4 Topic: Write about a topic that matters to you. Lesson 5 Prompt: Answer the assignment prompt and respond to the grading rubric. Lesson 6 Evidence: Support your writing with evidence. Lesson 7 Genres: Analyze and compare genres to meet audience expectations. Lesson 8 Discipline: Understand that a discipline is a methodology applied to a subject. Lesson 9 Media: Select the appropriate media for your context, and use it appropriately. Lesson 10 Planning: Plan your writing process. Lesson 11 Brainstorming: Develop a brainstorming strategy. Lesson 12 Researching: Research before you draft and cite as you research. Lesson 13 Organizing: Organize your preliminary writing according to patterns. Lesson 14 Drafting: Generate momentum in your first draft and keep going. Lesson 16 Proofreading: Use professional proofreading techniques to help you find errors. Lesson 17 Publishing: Format your writing with pride and purpose. Lesson 18 Reflecting: Reflect on each completed assignment, in writing. Lesson 19 Thesis: Focus your thesis through evidence and research. Lesson 20 Introductions and Conclusions: Design the right introduction and conclusion. Lesson 21 Paragraphs: Develop your paragraphs and pack them with evidence and detail. Lesson 22 Sentences: Develop your own active, economic style. Lesson 23 Grammar: Learn from your grammatical mistakes and don’t be intimidated. 23.1 Why you should learn from your grammatical mistakes and not be intimidated. Lesson 24 Citation: Approach citation as a research tool, not as a threat. Lesson 25 Student Interviews & Sample Papers: Learn from the moves other writers make. 25.1 Why you should study the moves other writers make. 25.2 How to learn from the moves other writers make. 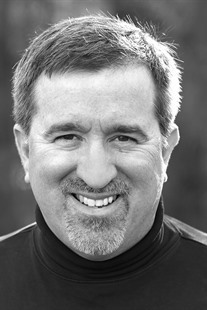 Todd Taylor is the Director of the Writing Program at the University of North Carolina, Chapel Hill. A leader in bringing digital composing into the college classroom, Taylor's research investigates how concepts of literacy are changing in response to advanced communication technologies. He has written or edited numerous works, including Literacy Theory in the Age of the Internet (with Irene Ward) and the award-winning multimedia performance piece, "The End of Composition." Taylor is the recipient of both the Friday Award for Excellence in Undergraduate Teaching and the Chapman Award for Excellence in Teaching. In 2009, he created Take 20, a film for writing teachers by writing teachers and published by Bedford/St. Martin's. Inspired by that project, he travelled across the country to interview 100 students about their experiences with college writing. That research serves as the foundation for his new text, Becoming a College Writer: A Multimedia Guide.